Our highly effective stain-fighter is your new best friend. Our highly effective stain-fighter is your new best friend for removing all traces of mold and mildew stains from a variety of indoor and outdoor surfaces, including tile, sealed grout, porcelain, natural stone, laminate, glass, plastic, stainless steel, wood and concrete. Best of all, it's free from harmful chemicals like chlorine, bleach and peroxide! You’ve removed the mold and mildew that had gradually built up in your shower, but the ugly stains still remain. What’s the best way to get rid of unsightly mold and mildew stains without resorting to harsh cleaners, like chlorine bleach, peroxide or ammonia, which can burn your skin and irritate eyes, lungs and air passages? 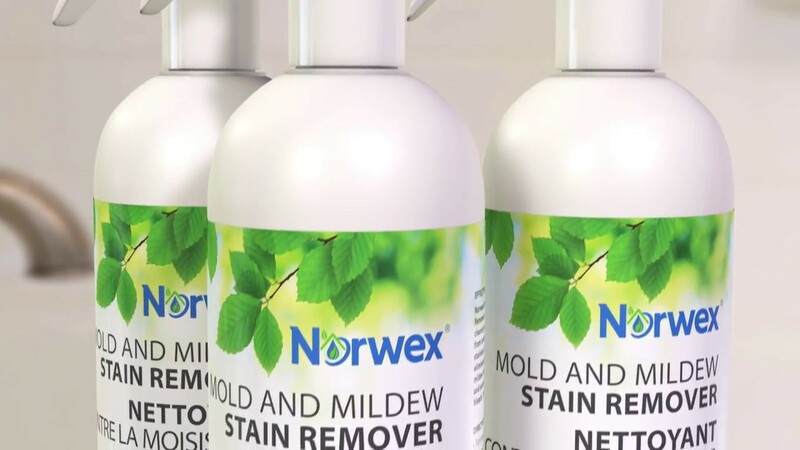 Our environmentally friendly Mold and Mildew Stain Remover effectively eliminates even the toughest mold and mildew stains from all types of surfaces, both indoors and out. And because it contains absolutely no harmful chemicals, it’s completely safe for your family as well as the planet. • Apply generously and directly to mold and mildew stain. • Wait until stains disappear and rinse. Heavy mildew buildup may require longer contact time or multiple cleanings. • If the stain persists, re-apply product as needed, wait 10 minutes and scrub area with EnviroCloth® or Bathroom Scrub Mitt and rinse clean with water. • Rinse immediately after use on rubber, plastic, wood and vinyl. • Safe for surfaces including tile, sealed grout, porcelain, natural stone, laminate, glass, plastic, vinyl, stainless steel, wood and concrete. • This product may not be able to remove stubborn mildew stains that are embedded in hard water deposits, old grout or silicone caulking. • Always test in an inconspicuous area first. eyes and a runny nose. Higher levels can lead to chest pain, vomiting, severe breathing problems, fluid in the lungs and pneumonia.